Superb volume on the Shots during the last World War. Players pen pictures, Aldershot line-ups plus results & half-time scores and goalscorers for all League & Cup games between 1939 and 1946. Illustrated with many pictures of "guest" players and some programme covers. Simply a must have for fans of Aldershot F.C. Available from the Aldershot Town Supporters Club shop at the Rec, open on match days. Excellent club history consisting of brief seasonal summaries and anecdotes with a few photographs. List of players appearances/goals from 1927 to 1975 included. Can be hard to find, I have seen dealers listing this volume at high prices. 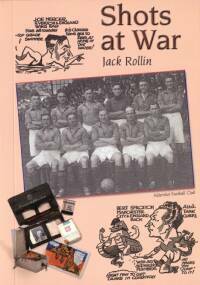 A seasonal statistical record of the club, from 1927/8 to 1995/6 including the war years. 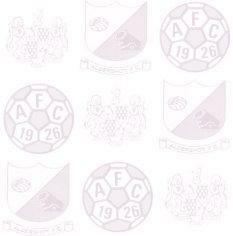 Virtually every line-up, Shots goalscorers and attendances from league and cup games. Plus comprehensive database of players including appearance and goal totals, with clubs signed from and transferred to details. Interesting booklet style publication mainly consisting of brief messages from ex-Shots players, plus some photographs and brief lines on the first 60 seasons. Handy volume including pen pictures of leading Shots players and managers. Comprehensive list of players from 1927 to 1992 including transfer fees. Season by season record though only providing results plus players appearances and goals. Another seasonal results and scorers only statistical work, plus league tables.